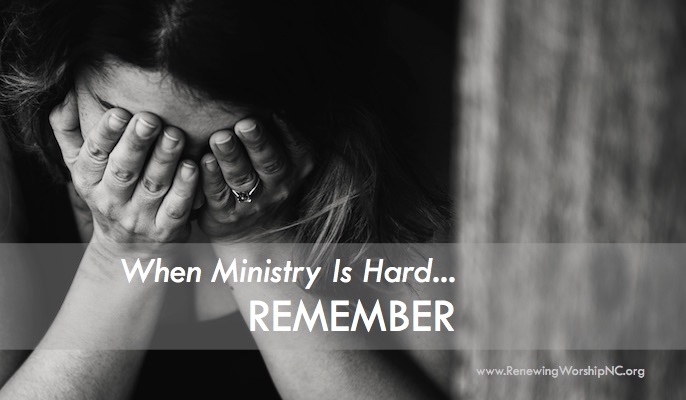 How should we address these issues that arise in our worship ministries? 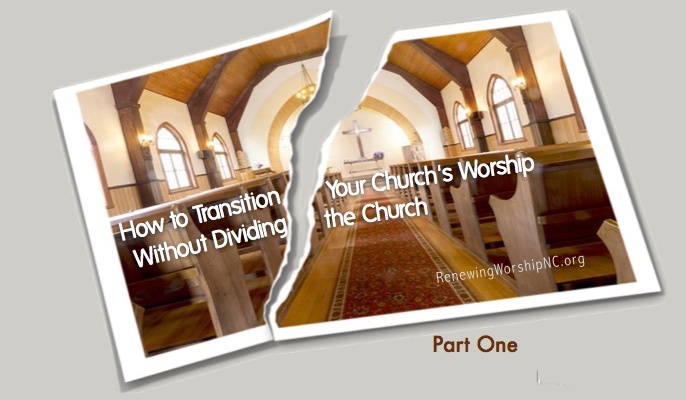 What should we focus on amid worship conflicts? You may be surprised to hear that Paul wrote his first epistle to the Corinthian church—at least in part—to deal with worship issues head on. He begins his letter by addressing divisions over leadership in the church. Unfortunately, these divisions caused issues with how the church practiced the Lord’s Supper, how they used spiritual gifts in worship, and who they focused on. At the church in Corinth, some were saying “I belong to Paul,” or “I belong to Apollos” (1 Cor 1: 12). There was a sense of pride and bragging over who was baptized by who. But Paul did not even remember who he baptized (1 Cor 1:14–17)! Also, worshipers abused the very actions and gifts that God gave to the church for worship. In 1 Corinthians 11, we find out that when the Lord’s Supper was taken, some were getting drunk, while others were getting hungry (11:20–22). Paul had to remind them how to observe the Supper (11:23–34). In chapter 14, we hear of the misuse of spiritual gifts. Some were speaking in unknown tongues with no interpretation—and it didn’t help anyone (14:6–11)! It was like trying to lead a song no one knows, without providing or teaching the lyrics. In Corinth, Paul exhorted them to speak in a way that built up the church (14:12). Most devastatingly, worshipers in Corinth were disregarding the Gospel message. Apparently, some had forgotten the very thing that Paul first preached to them! Paul had to remind them what was most important (1 Cor 15:1–4). All of this makes it clear that, long before any modern “worship war,” there were problems in worship in Corinth. How does Paul address these issues? Over and over in the opening verses—at least 10 times in the first 10 verses of chapter one—Paul points them to Jesus, the one they were supposed to be worshiping! And by chapter 15, Paul is rehearsing again the central Gospel message: “that he [Jesus!] was buried” and “that he was raised on the third day according to the Scriptures” (v. 4). Paul wanted the Corinthian church to “be united” (1:10) in their focus on Jesus and to be “always excelling in the Lord’s work” (15:58). 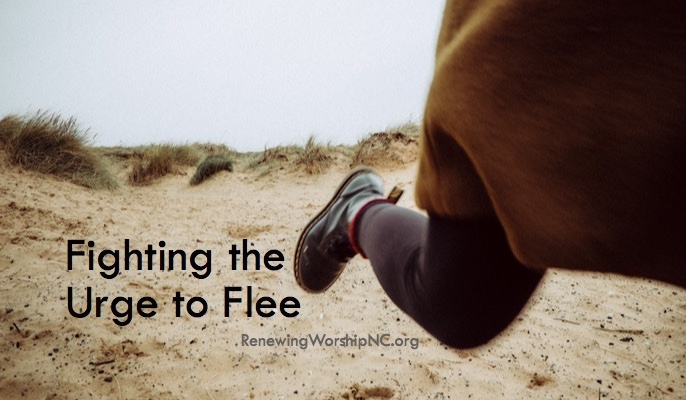 What if we focused more on the ONE we are called to worship than the worship issues themselves? Wouldn’t it help put conflicts over worship practices in perspective? Paul prioritizes the principle of edification. We worship to build up the church through everything we do ( 26). Paul insists on the principle of intelligibility. We worship to clearly communicate what God has revealed ( 27–29). Paul sets a standard with the principle of order. We worship to represent the God of peace, not to create confusion ( 30–33, 40). If there were worship issues in the early church, should we expect them today? Yes! 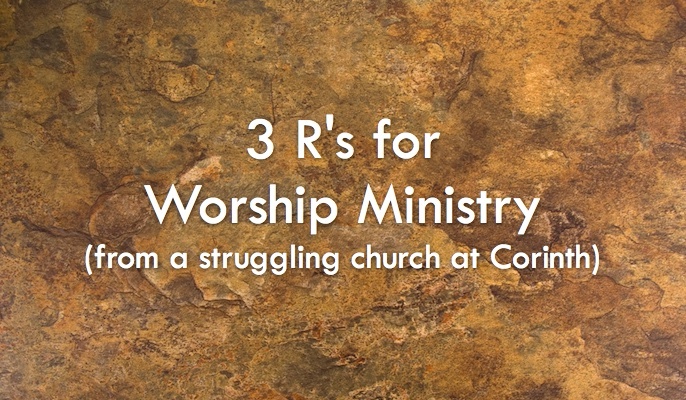 So, when they arise, review the three R’s–Realize, Recognize, and Remember–and point your congregation to Jesus. 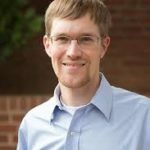 Dr. Joshua A. Waggener serves as Assistant Professor of Music and Christian Worship at Southeastern Baptist Theological Seminary and The College at Southeastern in Wake Forest, NC. He is also a local church worship leader and a board member for The Society for Christian Scholarship in Music (www.scsmusic.org.) Follow him on Twitter @Dr_JWag.